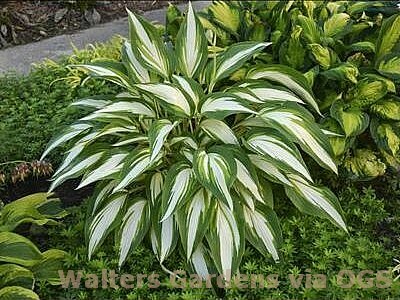 Product Information : Very showy cultivar with green and clear white variegated cascading foliage. Leaves are long, pointy, and tapered. First leaves are quite upright. Mature Size : 28" x 48"